Just 25 miles outside of D.C., Loudoun is conveniently located in the rural countryside of Northern Virginia. 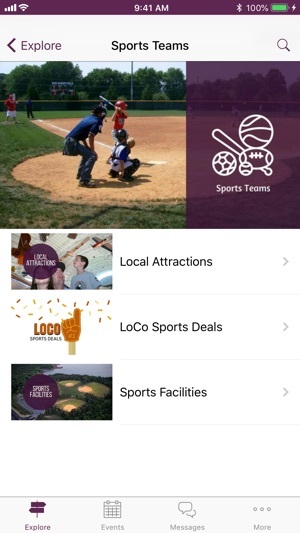 Whether you’re visiting Loudoun County, VA with your sports team or for a corporate meeting or retreat, you will find that Loudoun has a lot to offer! 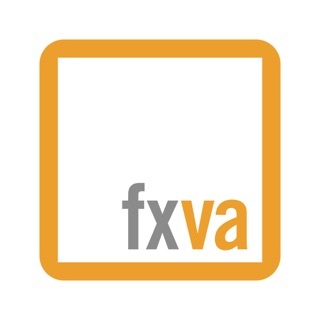 This app can be used to find the latest deals and offers from local restaurants. 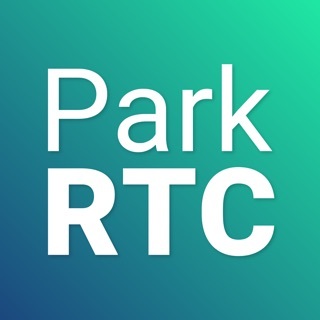 Also use the app to find popular attractions and activities such as historic sites, shopping, tours and much more! 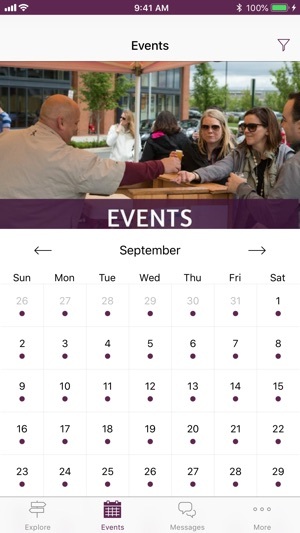 Stay up-to-date with the latest events using our events calendar. 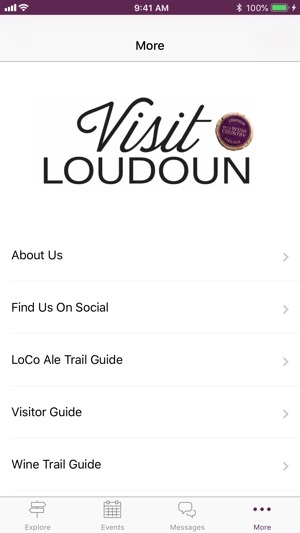 The Visit Loudoun app is GPS enabled to find what’s nearby! 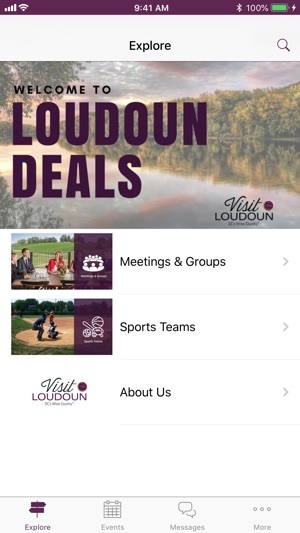 Visit Loudoun is the official destination marketing organization of Loudoun County, VA. Our State Certified Visitors Center is opened from 9am-5pm, 362 days per year and located at 112-G South Street SE Leesburg, VA 20175 or call 703-771-2617. 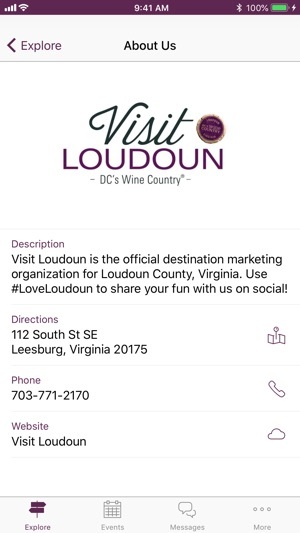 Share your experience with us by using #LoveLoudoun on social!